Clip for 16mm PVC plastic conduit. Pack of 50 x 19-24mm clips with fixing nails. Useful for 20mm round conduit. Makes a seal between the box and lid. This seal is for a round 20mm besa box - the seal itself does not measure 20mm. 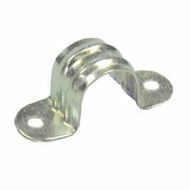 Galvanised conduit saddle clip for 20mm electrical conduit. 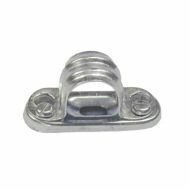 Galvanised conduit spacer bar clip for 20mm electrical conduit. Clip for 20mm oval PVC conduit. 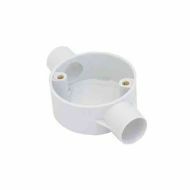 20mm PVC conduit angle box. 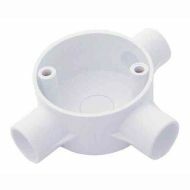 20mm PVC conduit elbow / bend. 20mm PVC conduit coupler. To join two pieces of 20mm round plastic conduit. 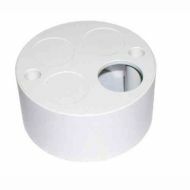 20mm PVC 4 way conduit box. 20mm PVC conduit inspection elbow. Removable lid to give access to your cable inside. 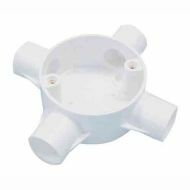 20mm PVC conduit inspection tee. 20mm PVC conduit loop in box. 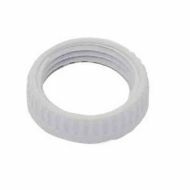 20mm PVC conduit male adaptor. Use to connect your conduit into a box or trunking. 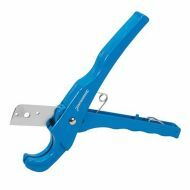 PVC saddle clip for round 20mm electrical conduit, with 2 mounting holes. 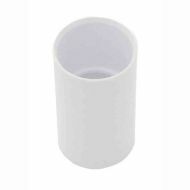 Sharp elbow fitting for 20mm PVC conduit. 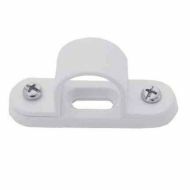 PVC spacer bar clip for 20mm electrical conduit. 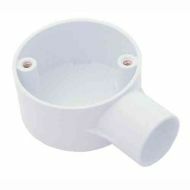 20mm PVC conduit tee box. 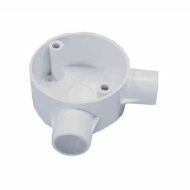 20mm PVC conduit terminal / end box. 20mm PVC through conduit box. 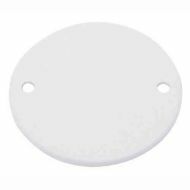 20mm PVC conduit box lid. 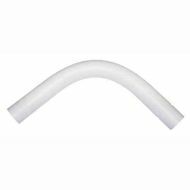 Clip for 25mm oval PVC conduit. 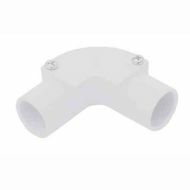 25mm PVC conduit elbow / bend. 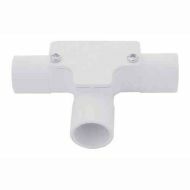 25mm PVC conduit coupler for plastic electrical conduit. 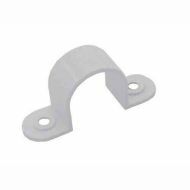 Saddle clip for 25mm PVC plastic electrical conduit. Pan head 4mm x 16mm brass screw, with M4 metric thread. Normally used for conduit box lids. Pan head 4mm x 25mm brass screw.